Where can I find Omise's PCI-DSS Certificate? Omise is a PCI-DSS v3.2.1 Certified company. 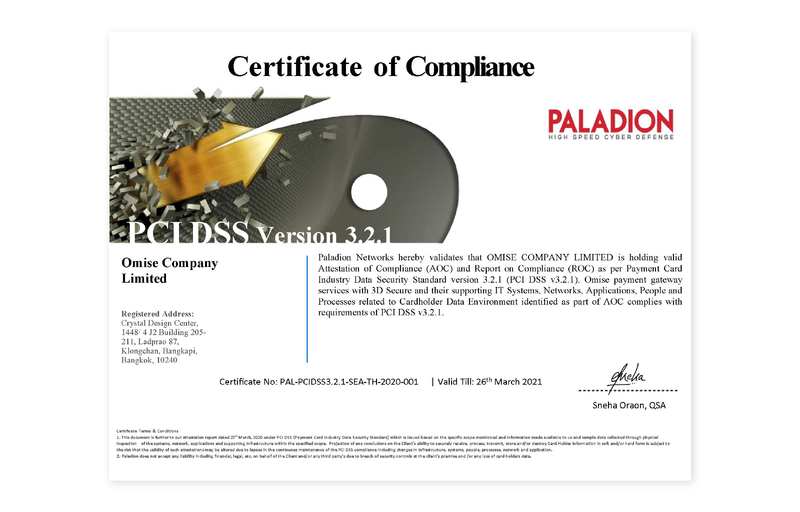 Our PCI-DSS AOC can be provided given justification. Just contact us by email.